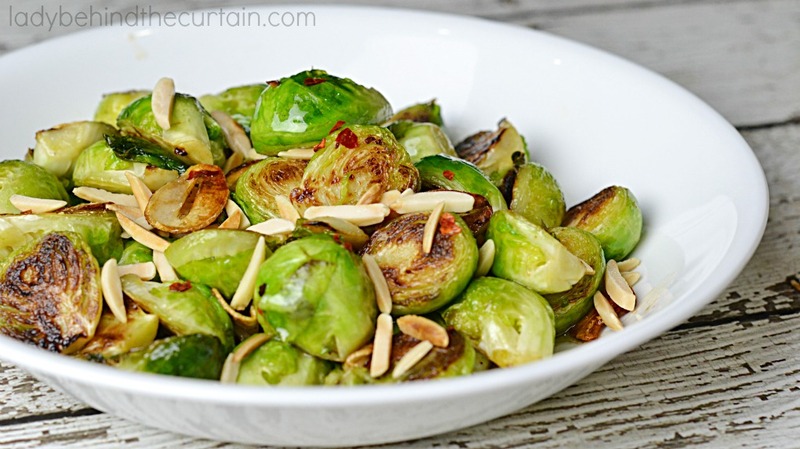 Brown Butter Brussels Sprouts | I tried them again and this time I liked them! Yes, I was determined to LIKE Brussels sprouts. 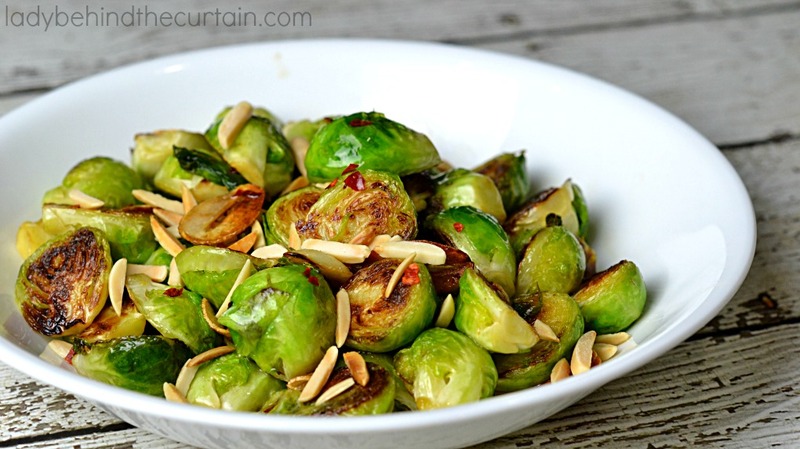 If you haven’t figured out a go to recipe for Brussels Sprouts, this delicious dish is the answer! 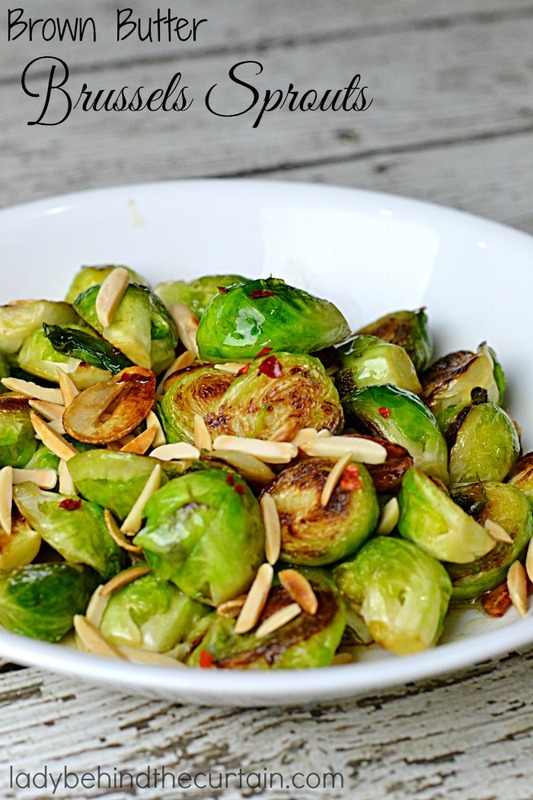 The perfect side dish for your Thanksgiving or Christmas dinner table. These little cabbage like vegetables are packed with vitamin C and are part of the same vegetable family as nutritional powerhouses like kale, broccoli, cauliflower, cabbage and collard greens. I used brown butter in this recipe to give these little delights more of a nutty flavor. Heat oil on medium heat in a medium saucepan. Add Brussels sprouts, garlic and 1 TABLESPOON brown butter; saute 3 to 5 minutes or until golden brown. Sprinkle in the salt and red pepper flakes; stir in the remaining 1/2 TABLESPOON brown butter. I stir in some jumbo shrimp as well soooooooooooooooooooo good..